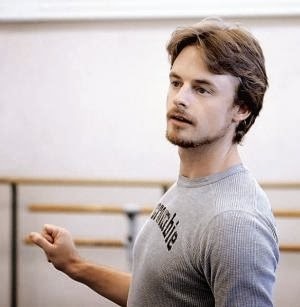 Well, Christopher Wheeldon is amazing. Choreographing a full length narrative ballet is as close as you get in the ballet world to directing a musical, and if anyone has any doubts that Wheeldon can do it, his Cinderella, which was just in New York courtesy of the San Francisco Ballet, banishes those doubts completely. Seeing his consummate vision come to life makes me all the more excited to see his directorial debut, An American in Paris. Using the Sergei Prokofiev score (which is beautiful, and there’s nothing like hearing a glorious score played by a full, lush orchestra) and going back to the Grimm fairytale for inspiration, it’s clear that this is not Disney’s Cinderella. (It's a little closer to the Broadway revival of Cinderella, actually.) It’s darker (especially beginning, in which we see Cinderella lose her mother), and Wheeldon incorporates more natural themes. 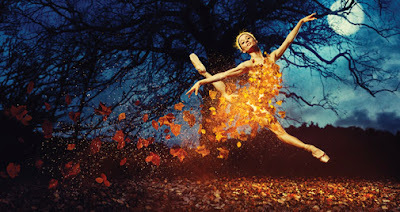 In the program notes, Wheeldon says he wanted to “echo some of the darkness in the music.” He continues, “The Grimm version…centered around nature and the spirit of mother…which I think is more poetic than a fairy godmother and quite beautiful.” Indeed, Wheeldon’s Cinderella is less fanciful and more romantic. Just like he did in Estancia, Wheeldon—shock—uses dance, actual choreography, to tell the story, not strutting, miming and gestures. (Certainly, there’s a little of that as a practical matter, but not a lot.) I mention this because the lack of dancing in most narrative ballets is why I tend not to like them, and I think Wheeldon’s focus on figuring out how to communicate something through dance rather than through mime distinguishes him as a choreographer. This version of Cinderella (with a libretto by Craig Lucas, Wheeldon’s book writer for An American in Paris) presents several natural opportunities for the characters to dance, and they each have their own choreographic language (or, if not an entire language, then at least character-specific catch phrases, if you will). The stepmother, Hortensia (Marie-Claire D’Lyse), is flashy. Benjamin (Taras Domitro), a friend of the prince, is athletic. Cinderella (Yuan Yuan Tan) is ethereal. The dance style of San Francisco Ballet isn’t quite as intense and impassioned as New York City Ballet’s. I spent some of the time wondering what it would be like to watch NYCB’s dancers in various roles, like the glorious Teresa Reichlen as Hortensia, or the buoyant Daniel Ulbricht as Benjamin. Still, the SF Ballet dancers’ technique is undeniable. As a director, Wheeldon uses and incorporates many tools, from scrims (designed by Julian Crouch) to projections (designed by Daniel Brodie), from lights (designed by Natasha Katz, who will light An American in Paris) to puppetry (designed by Basil Twist), yet they all fit together and are part of the storytelling. Wheeldon is certain to keep the focus on telling a story and—more important in this case—telling the story through dance. Part of Cinderella’s story involves a flying carriage, as you know, and Twist’s direction and design for the sequence had audiences cheering. Twist (The Addams Family) is able to integrate effective and whimsical, yet not gimmicky, puppetry that adds a bit of wonder to the ballet. The costumes (designed by Crouch, pulling double duty), are slightly underwhelming. The four fates (an integral part of Wheeldon’s version of Cinderella) wear do-rags on their heads, making them look almost thug-like, rather than like the protective guardians they’re supposed to be. Most of the other costumes were fine, though, and after the first act, I was eager to see what everyone would be wearing at the ball. Though the uniformity of the “ball gowns” lacked a bit of pizzazz (William Ivey Long designs they are not), I liked that he men’s tails were full and twirled as much as the ladies’ skirts. The dancing at the ball is really where the story lives, and Wheeldon works his magic throughout act two. He masterfully defines characters (as in the quirky pas de deux between nice stepsister Clementine (Dores Andre) and Benjamin), and even finds ways to add humor, like when Hortensia, the stepmother, goes into a delirious drunken and topsy-turvy dance, much to the chagrin of her husband, Cinderella’s father (Damian Smith). It’s also at the ball that Cinderella and Prince Guillaume (Luke Ingham) get to take center stage. Their pas de deux (and, before that, their solo ball dances) is lovely. Wheeldon finds new ways for the prince to show off his beloved, conveying the true love growing between the two. (Unfortunately, the dancers lacked chemistry.) The love manifests itself in act three, when the story wraps up, giving Cinderella and her prince one more terrific pas de deux. Christopher Wheeldon’s Cinderella is truly a delight, and has further fueled my desire to get to Paris to see the premiere of his An American in Paris! Bonus: See highlights of the ballet on sfballet.com.